Aiming to counter Narender Modi’s Sujanpur ‘Parivartan Rally’, Himachal Pradesh Congress organised a public rally at Rajeev Gandhi Stadium at Dulehar in Una district. Expecting high turn-out at Dulehar, home segment of industry Minister Mukesh Agnihotri, a staunch supporter of Virbhadra Singh, could manage meager crowd in comparison to Parivartan Rally. The Chief Minister Virbhadra Singh along with Cabinet Ministers GS Bali and Mukesh Agnihotri attended the rally. 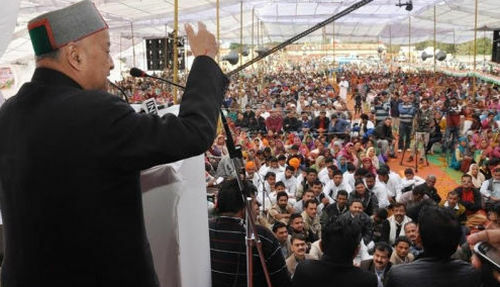 While addressing rally, Chief Minister detailed out his government achievements of past one year. 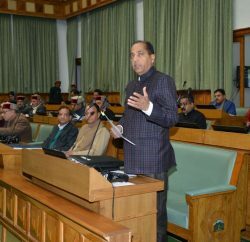 In his address Chief Minister reiterated his Government commitment for welfare of every section of the society irrespective of region and religion. Singh also welcomed the Gujarat Chief Minister Narinder Modi in Himachal Pradesh. The remarked that the BJP from last one month was preparing for his rally but to dismay of the BJP leadership it turned out to be a dull affair. He said that it has been reported that many persons in the Sujanpur rally were brought from the neighbouring States. Speaking on the occasion, Transport Minister G.S Bali said that Chief Minister has assured equal development in all regions of the State. 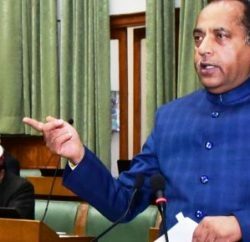 Bali took a dig at the BJP for stopping the work of the Macleod Ganj Bus Stand in Kangra. 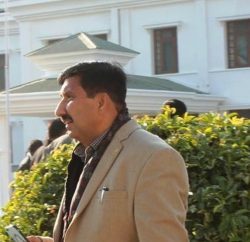 He said that BJP was reported involved in irregularities in constructing Mandi bus stand. Industries Minister Mukesh Agnihotri, while addressing the people at his home turf thanked the Chief Minister for sanctioning development projects worth crores in Una district. Kuldeep Kumar, Chairman, State Finance Commission congratulated, Vikramaditya Singh, President State Youth Congress, Rajinder Rana, MLA from Sujanpur Constituency of Hamirpur district, Virendar Dharmani, President, District Congress Committee, Onkar Sharma, Former Vice chairman of Agro Packaging Industries Ltd, Ranjit Rana, President Haroli Block Congress Committee and other congress district leaders and party worker were present at the public meeting. Earlier, Chief Minister Virbhadra Singh laid foundation stone of as many as seven development projects worth Rs. 350 crore in Haroli constituency of district Una, which includes first Food Park of the State to be constructed at Singa amounting to Rs. 300 crore, Rs. 5.50 crore Rural Research Health Centre, Rs. 13.28 crore Mini Secretariat building at Haroli, construction of Labour hostel and ESI hospital at Tahliwal with an estimated outlay of Rs. 4.50 crore and Rs. 2.18 crore respectively, foundation stones of Rs 5.32 crore ITI building at Pubowal and Bus Stand at Dulehar to be constructed with an outlay of Rs 2.72 crore.